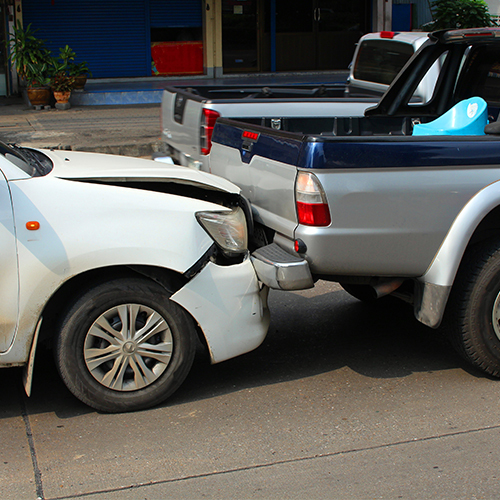 Rear-end collisions are the most common type of vehicle accident. They occur because a driver cannot reliably see what’s happening past the vehicle in front of him or her. If the driver in front reacts to a situation, either by swerving to avoid it or braking rapidly, it leaves little time for the driver behind to assess the situation and make what could be a life-saving decision. Collision avoidance systems warn drivers of potential accidents before they happen. Front-facing cameras and sensors help the system monitor not only the vehicles ahead, but also the flow of movement. If the system sees an anomaly in to flow, it sends an urgent warning to the driver, giving him or her ample time to apply brakes or maneuver out of the way. Did you know? A collision avoidance system can be added to your existing vehicle. For more information, contact your Vision Zero Automotive Network Preferred Retailer.